Visitors to a theme park in western Taiwan got cold feet when they became trapped on one of the scariest roller coasters in the world. A video of the shocking incident has appeared online. At least 20 people were stuck upside down on Gravity Max, the world's only tilting roller coaster, during a ride at LIHPAO Discovery Land in the city of Taichung. They had to spend almost 30 minutes suspended on the 16-storey-high metal construction before they were rescued. 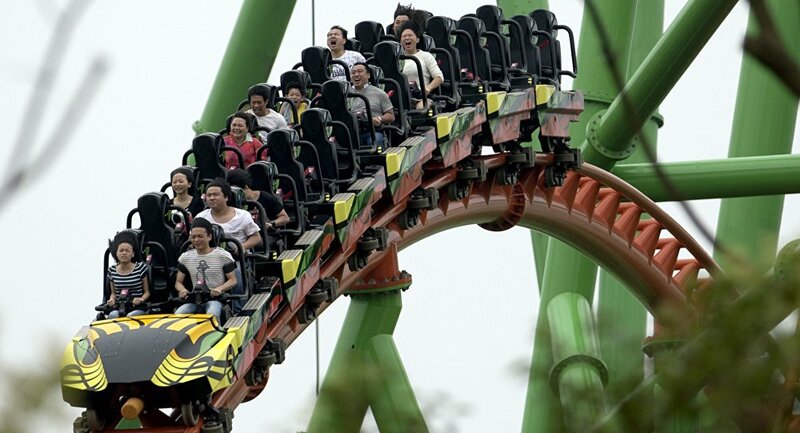 Following the incident, Discovery Land director Wang Yung-hao said that the safety mechanism had activated as the tilting coaster was unable to line up with the vertical tracks below. He added, however, that the visitors were "100 percent safe" during the ride.